Are you happy with the way your lawn looks today? Do you have problems caused by mother nature, heavy traffic, insects, disease, or another lawn care company? 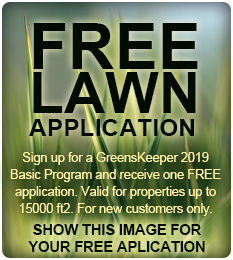 The Greens Keeper Lawn Service can help solve those problems and keep your lawn looking its best. We are committed to giving you the best service, and your satisfaction is guaranteed. You can contact our office today to receive your personal lawn evaluation and estimate to repair your lawn and keep it looking great. Call our office at 618-433-9696, or submit the form below.